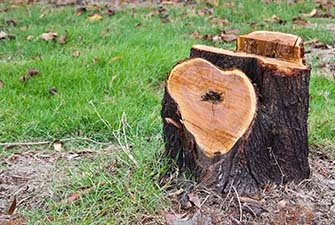 STUMPBUSTER LLC is about more than stump removal. Here, we also offer a range of tree care and lawn maintenance solutions. You can count on us to help you keep your property looking great and safe to your family or employees. Count on us to carefully remove undesirable trees and stumps, and to trim up the trees on your property to keep them looking great. When we remove stumps, we re-grass the area, avoiding unsightly and unsafe holes or dirty spots. Our goal is always to create or enhance spaces with a pleasant balance of sun and shade.